Alongside shedding strands everywhere you go, washing your hair is easily one of the worst things about having long tresses. Not only do you go through expensive bottles of anti-breakage shampoo like there’s no tomorrow, but it takes forever to dry and style. 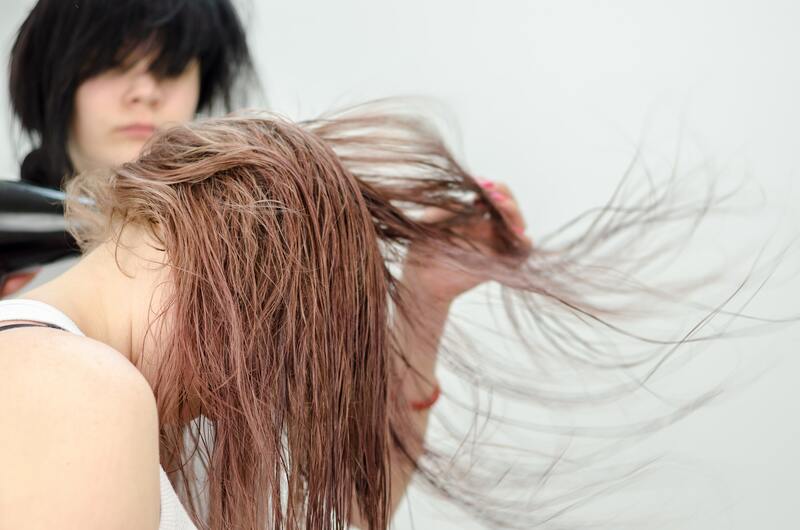 If you regularly spend a lot of time under the hairdryer, you’re probably a big fan of stretching out your non-hair washing days for as long as possible. The problem is that after a night of tossing and turning in bed, your second or third day locks can end up looking pretty dishevelled. That’s where ghd’s latest hair-taming tool comes in – a hot brush that’s designed to gently smooth out any unwanted kinks or frizz that happen during the night. 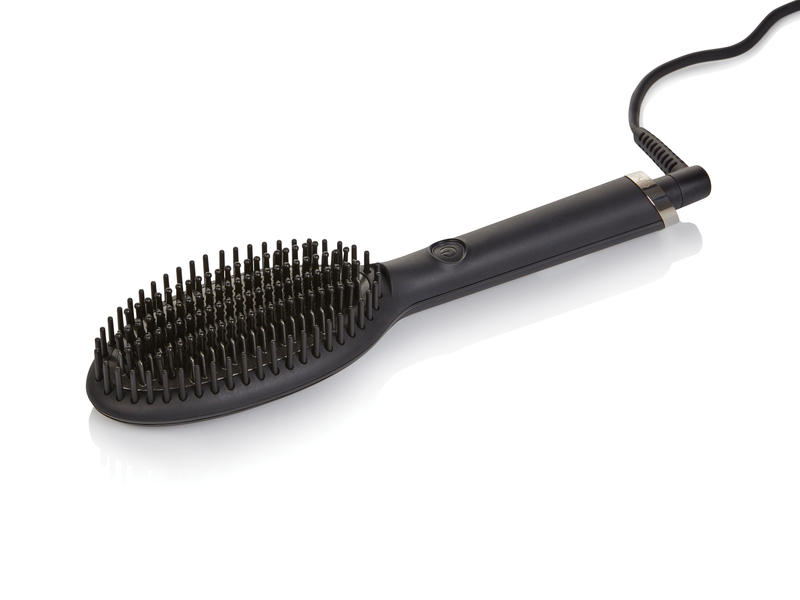 To the untrained eye, it looks a lot like your average hairbrush, but when you plug it in and switch it on, two inbuilt ceramic plates heat up to 185°C and smooth hair in seconds, promising a glossy, Duchess of Cambridge-worthy finish. Designed to be used on dry hair, according to ghd, the Glide has an ‘anti-static ioniser’ which sends negative charges through the hair, helping to combat static and frizz. There are shorter bristles as well as longer ones that allow enough tension to shape the hair – so you can style big sections when you’re in a rush. “As someone who hates to spend ages getting ready, I love how intuitive and user-friendly is the Glide is. You simply plug it in, switch it on, and in less than a minute it’s ready to go with no technical nous needed (a little light around the on button alerts you to when it’s at maximum heat). “The actual process of using the heated brush was so simple and took no more than ten minutes to complete. I simply grabbed my hair in sections and ran the brush over and underneath to smooth out any kinks – which is the main issue I have when my hair is left to its own devices. “The brush prongs aren’t as pliable as plastic ones, so if you have knotty hair like me, I’d recommend initially brushing your hair before you go over it with the heat tool. 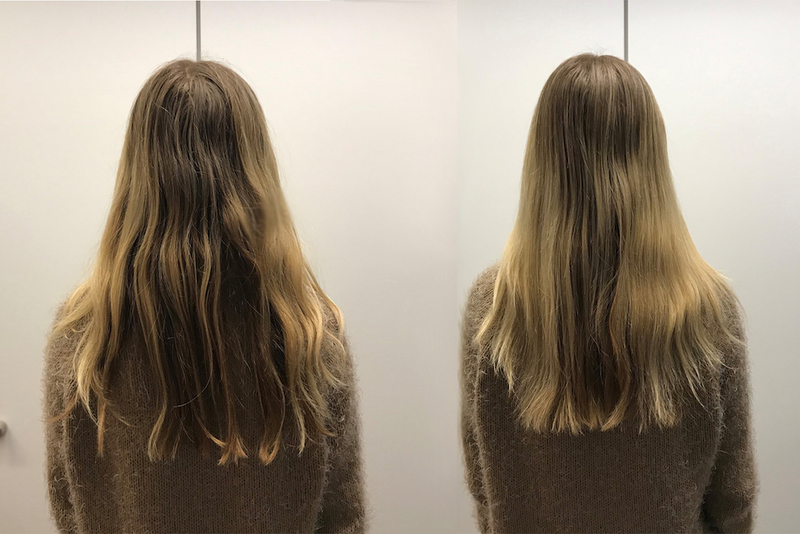 “The results were definitely a major improvement in the frizz department, but because my hair is quite coarse from bleaching and heat tools, it took quite a few brushes to get it looking sleek and straight. 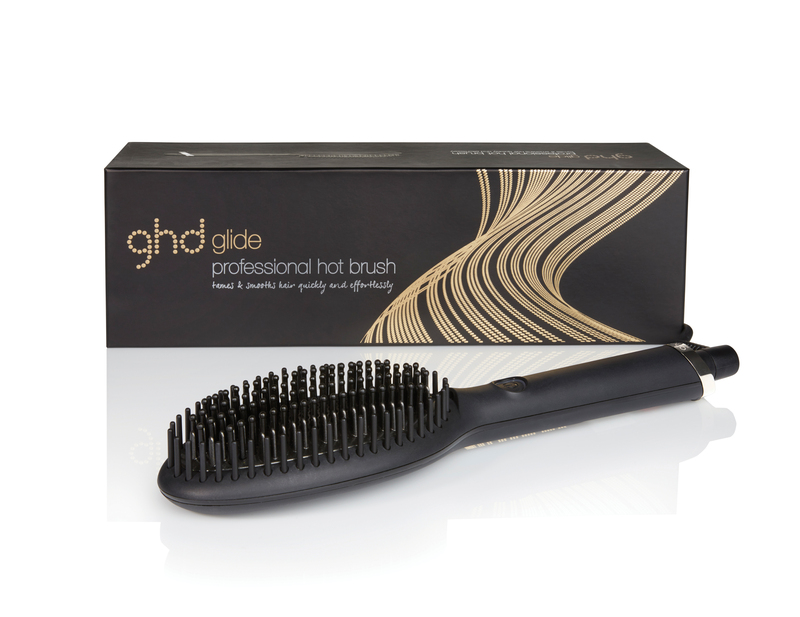 From seeing Georgia’s results, I’d say that this hot brush probably works best on non-damaged or colour treated hair. “I’m far from a patient person. That, and the fact that I’m actually quite a fan of my wavy (read: messy) hair, means I’ve never been one for making straightening my hair part of my morning routine; I’d rather the extra time in bed (which made me a perfect candidate for testing out the ghd Glide). “I wondered whether it would be a bit of a gimmicky product, and was dubious if it would actually be able to tame my mane enough that I really would be frizz-free. But I was happily proved wrong. “It heated up super quickly, and with its long handle like a normal hairbrush you can get a good grip, so it’s much easier to do the back of your hair than with normal straighteners. 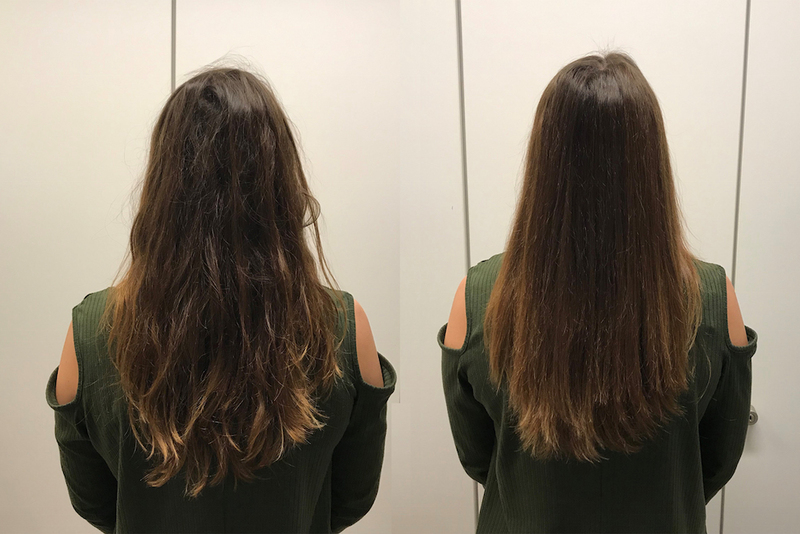 “It felt nice and smooth as I ran the brush through sections of my hair, and within less than ten minutes I had sleek, no-kinks locks.